Usually custom maps are distributed in a compressed archive. The archive normally contains a folder you have to simply extract to your "usermaps" folder inside your "Call of Duty 4 - Modern Warfare" main directory. Copy them into a folder called "mp_mymap" inside your "usermaps" directory. At first you need to know that theres a mod required to play custom maps. To use custom content the guys from Infinity Ward created a mod called "ModWarfare". But you dont need to download ModWarfare as it is already included into the game. Usually mods are distributed in a compressed archive. The archive normally contains a folder you have to simply extract to your "Mods" folder inside your "Call of Duty 4 - Modern Warfare" main directory. Copy them into a folder called "mymod" inside your "Mods" directory. Most mods include a set of configuration files (*.cfg). Usually mods come pre configured so you dont need to change those files. But if you want a unique kind of gameplay have a look at them - because thats what mods are all about. I am going to introduce selected mods here in future and their configurations. 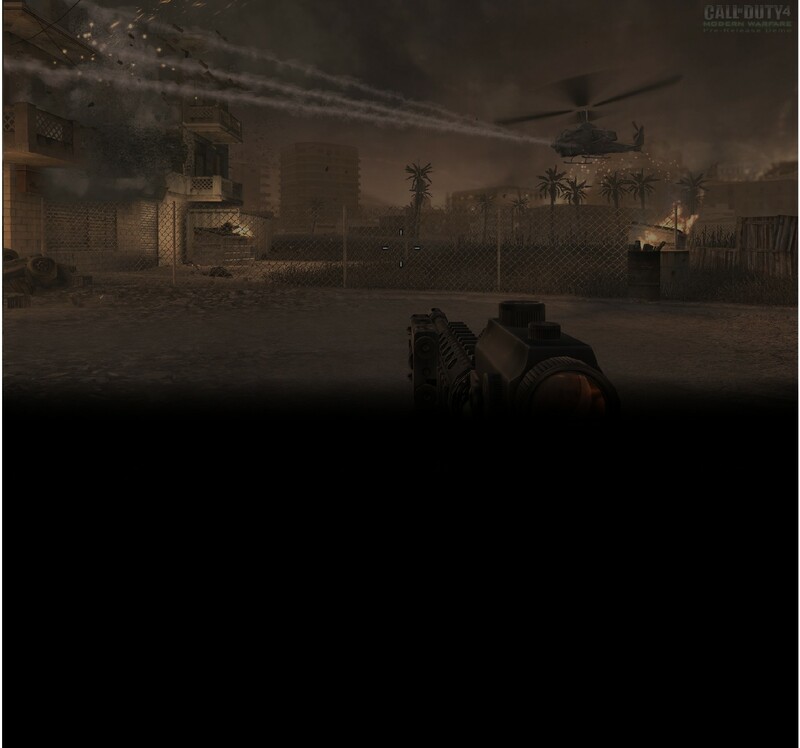 1) Open COD4 multiplayer (iw3mp.exe). 2) Search for a button called "Mods" in the main menu and select it. will load the map mp_oldschool from your usermaps directory. If you want to play these maps with friends on Garena the easiest way is to start a listen server. As usual start your listen server from the COD4 multiplayer main menu while you have a Mod selected and use the console commands to switch to the map and gamemode you like to play. Since patch 1.5 map *.iwd files are only allowed to contain files with the extension *.iwi , *.wav , *.mp3. If there are other files inside a map *.iwd file your server will suffer different problems like broken maprotations, random restarts and crashes and other unpleasant random behaviour. Some websites clean their *.iwd files before publishing them others dont do. So you better check every map *.iwd you download before using it on your server. All *.iwd files included in my Map Packs have been cleaned. 2) Drag and Drop or manually open the *.iwd file you like to clean with one of the above programs. 4) Save the cleaned *.iwd file by simply closing the program. If you already setup a dedicated server with your own server config and you want to offer high speed download to your players you need to install a so called redirect. A redirect is a folder on your webspace thats linked to your COD4 server where can you store all the maps and mods. This way you can take alot of load of your server as well as offer your players a high speed download of all required files. Upload the content of the mods and usermaps folder from your gameserver to your webspace. have a submit form (registration required) so you can add new files to their repository.